InSyncPhoto releases new gallery collections periodically throughout the year. Please register your contact details for advance warning. Russ McLean’s exclusive images and high resolution photo prints are available to purchase. Specialising in New Zealand and Australian landscapes, Russ’s work combines stunning fine art photography with iconic views that will brighten any interior or commercial space. 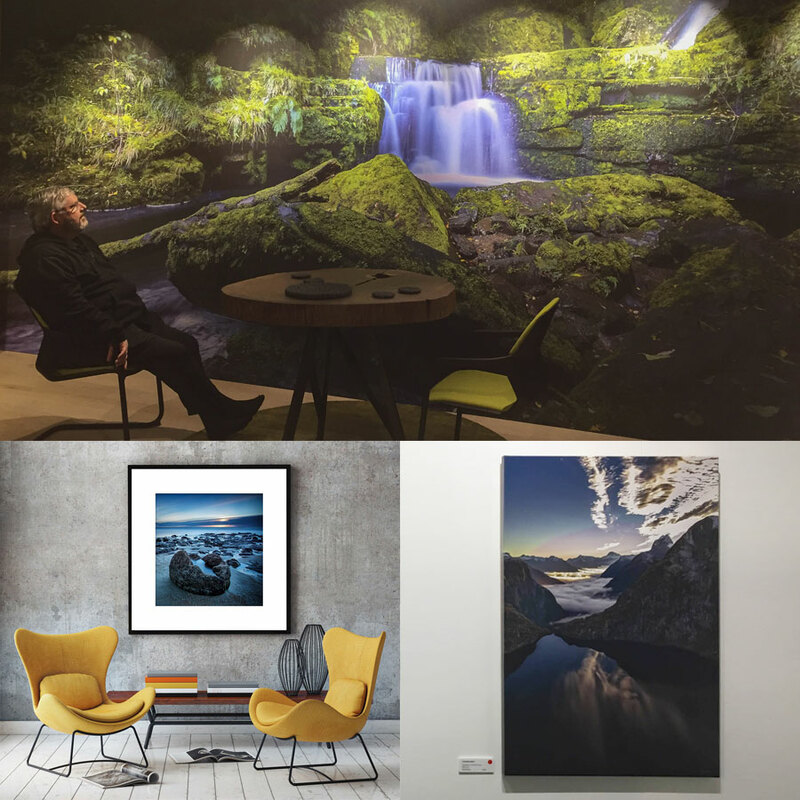 With commercial/residential interiors in mind, Russ has created full frame, panoramic and vertical image sizes which are available for purchase. Each digital file is limited to five (5) prints, though the opportunity to own a print exclusively also exists. You are invited to browse the galleries & acquire something of beauty for your home or commercial space. Bring your interior space alive with an exclusive Russ McLean print. Images are available in a variety of sizes and Russ is also available to assist you choose the ideal landscape print for your space. Russ's images can be printed on a variety of materials & in a range of sizes. Please contact him to discuss your preferences. Own your own piece of Insync Landscape Photography! Fine art photographic prints are ideal to frame a commercial space such as a feature image for an office meeting room, a stunning series of landscape prints for hotels and motels or to create a talking point in your own home. Russ offers his own personal connection to each of the images available here and is always happy to provide personal advice to people seeking to own one of his pieces.